The following letter-to-the-editor from Mary Pattock of Minneapolis was published in the July 11, 2014 edition of the StarTribune. I’m flabbergasted at how blithely many people are accepting the $1.6 billion price tag for Southwest light rail. Maybe the number is just too large to comprehend — so here are some comparisons. It represents more than $300 for every man, woman and child in Minnesota. It is 20 times the annual construction budget of all 400 parks in the National Park Service program. It is 70 percent more than President Obama’s budget to help the 50 states prepare for climate change. It exceeds, according to World Bank statistics, the last reported U.S. foreign aid to Iraq. For an investment of this stunning magnitude, we need a far better return than what the Met Council is projecting: taking 4,000 cars off the road — by 2030! 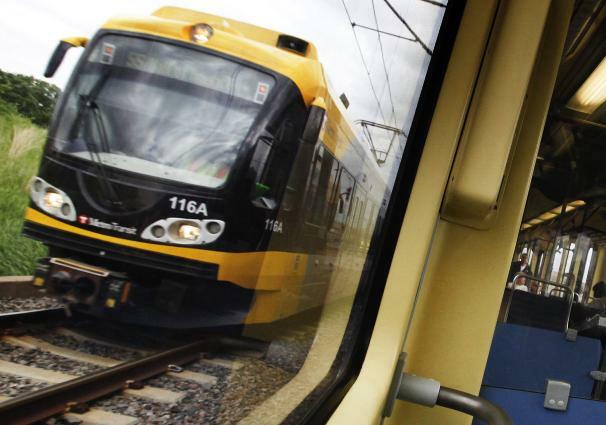 — and providing train service to 12,000 Eden Prairie commuters, the route’s largest user group, who already have access to fine and faster bus service. Let’s get past the ugliness, name-calling and municipal enmities that have come to characterize this public debate. And let’s stop dancing to the jingle of coins in Washington. We need to open our minds to all the facts and make a rational decision about whether promised benefits — meager at best — are worth the environmental damage and safety risks they entail, and whether they justify paying the highest price for any public-works project in Minnesota history. This entry was posted in Southwest LRT on July 12, 2014 by citoyen1789.